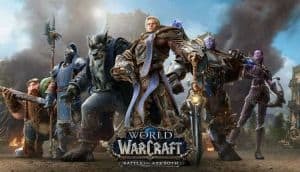 World of Warcraft Battle for Azeroth Release Date Set for August | Nerd Much? The next chapter in the ongoing World of Warcraft saga is on the horizon. Blizzard has announced the first major details for their Battle for Azeroth expansion. And have slated the new content for an August release. The new expansion looks pretty robust with new content. There are two new fabled kingdoms in Zandalar and Kul Tiras. New playable Allied Races, Island Expeditions, 20-player cooperative Warfronts, and much more. The Seabraid Stallion (Alliance) mount, Gilded Ravasaur (Horde) mount, and Tottle the Baby Tortollan pet for World of Warcraft; an “Azeroth Is Burning” card back for Hearthstone; a Primal Flamesaber mount in Heroes of the Storm; Horde and Alliance sprays for StarCraft II; and a collection of faction-themed extras for Overwatch. 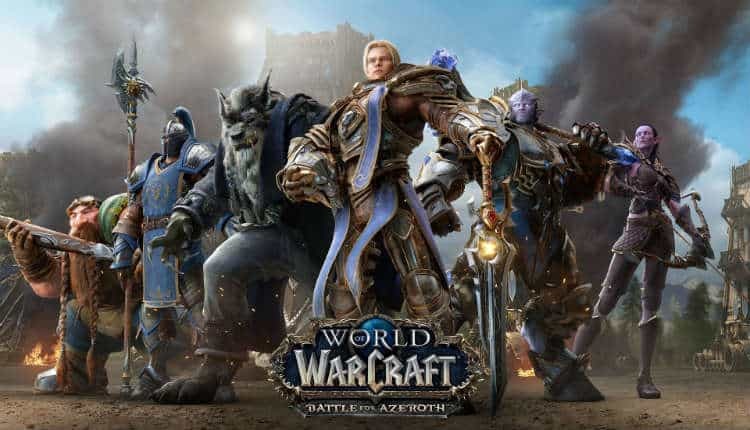 World of Warcraft Battle for Azeroth releases on August 14th.